Raytheon|Websense has recently been rebranded. From January 14, 2016 the company will be known as Forcepoint. 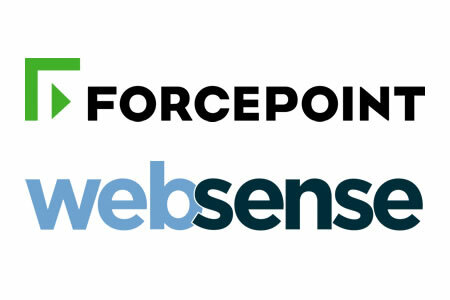 Forcepoint combines the cybersecurity products of Websense, which was acquired by Raytheon in May 2015, Raytheon – a major U.S. defense contractor, and the next generation firewall solutions of Stonesoft and Sidewinder, which were acquired from Intel Security this month. Forcepoint is a joint venture between Raytheon and Vista Equity Partners. The acquisitions which allow the company to provide a wide range of cybersecurity solutions to address the ever-evolving threat landscape through the transformative technologies of the cloud, mobility and IoT. The company is providing a cloud-centric platform that will safeguard data, networks, and end users. The combination of all services under the same brand will help the firm eliminate some of the inefficiencies of managing separate collections of cybersecurity products. The products of all companies will be combined into a platform solution that offers protection from internal and external threats, combining next generation firewalls, web filtering, and data breach detection and remediation. That platform will be capable of analyzing disparate events over time, which could be part of a single, multi-vector attack. The aim is to allow organizations to use limited resources only when they are necessary. Forcepoint will help organizations integrate third-party security solutions into its platform via APIs to help them get more out of existing cybersecurity investments, although that is likely to take time. However, the firm has the financial backing and staff to achieve that goal. The announcement of the new company name coincides with the release of three new security products offering protection from insider threats through SureView Insider Threat; security for highly distributed networks through Forcepoint’s Stonesoft NGFW, and cloud-based protection of Office 365 through the Forcepoint TRITON platform. SureView Insider Threat (v8.0) is an early warning system that helps organizations identify the riskiest individual in their organization. The solution is based on Forcepoint’s DLP technology: TRITON AP-DATA and conducts analyses of user behavior to assess risk. The solution allows the recording and playback of the activities of users before, during and after risky behaviors and provides rich context to those behaviours. Through the Azure-hosted Forcepoint Triton platform users can enforce consistent policies across the cloud, on premises and at endpoints, ensuring a unified defense for highly mobile organizations. Forcepoint’s Stonesoft next generation firewall has been developed for use by highly distributed organizations and provides consistent visibility, responsiveness, and policy enforcement across thousands of locations via a single management console.